Yesterday, I had the pleasure to co-present with Melika Golkaram of Google and Moore Macauley from Harmonic on “Building a next generation streaming platform with Sky”. Melika reminds us that streaming is a new industry and provides insight into YouTube and how our viewing habits have changed since it’s launch in 2005. One amazing statistic is that we’re now consuming one billion hours of content per day and explains how Google are making the necessary investments to meet the needs of media companies. I explain (15:25) the technical and business benefits of moving live sports workloads to the cloud and introduce our Software Defined Streaming platform, which is designed for highly available live streaming. We call this concept the Single Channel Fault Domain, where we run a synchronised live channel across two data centres and demonstrate how the system can self-heal without impacting customer viewing. Moore explains (40:52) how Harmonic collaborated with Sky and Google to solve several difficult engineering challenges and demonstrates a live channel running in google cloud. 17th April Update: Slides are now available. I’m honoured and very excited to have been asked to speak at the Google Next 2019 conference in San Francisco on April 10th. 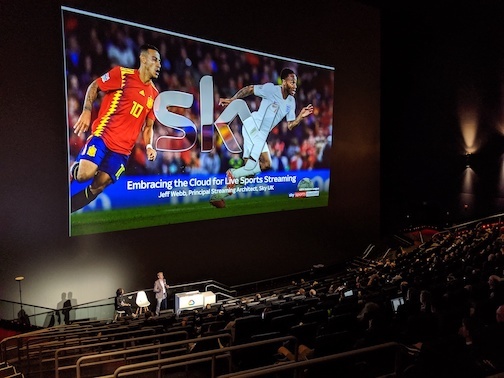 Where I’ll be jointly presenting a breakout session with Google and Harmonic on “Building a Next-Generation Streaming Platform with Sky” for live Sky Sports events. The conference programme is available here and here’s the session of topics below. Learn how Sky, Europe’s largest pay-TV broadcaster, pioneered a next-generation scalable, on-demand platform for processing and serving live television. Previously, processing and serving live TV required large up-front capital outlays, with a need to provision for peak demand. With Sky’s Software Defined Streaming platform, built in conjunction with Harmonic and delivered on the Google Cloud Platform, Sky is able to spin up all the infrastructure and services required for channels on demand, before a live sporting event, and spin them down when not required. 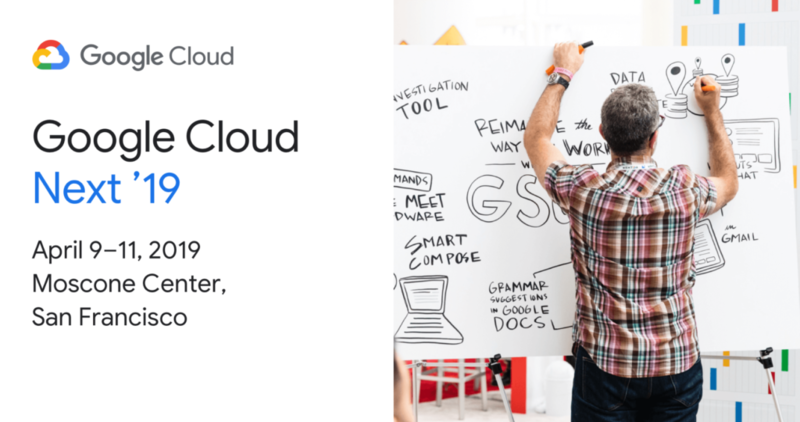 In this session, we will walk through the end-to-end architecture, from the top of the application stack down to the GCP infrastructure that supports this use case. We will also discuss the cultural and operational challenges to overcome, in order to enable a move from the traditional on-premises world of broadcast engineering to the agile world of cloud. I’m very grateful to have been asked to speak on two panels at the Streaming Forum conference in London, ExCel on the 26th February, where we’ll be discussing “OTT: Better than broadcast?” And “OTT moves towards microservices”. Discussing the differences between Satellite and OTT services and the opportunities OTT brings. Update on what we have learned with the transition from appliances to a micro services architecture. Now that you have completed step 3 and built up three to six months emergency fund, you’re ready to tackle step 4, and it’s time to get excited about investing for retirement, no matter what your age. Retirement is a very personal subject which means different things for each of us. My hope in this rather lengthy article is to share my research and experience to bring this wide-reaching topic to life. Why I’m excited about retirement? Having worked hard in my career since leaving the education system, I have my mum to thank for recommending that I start saving for retirement when I was 18. Though it took quite a bit of persuading to give up that initial £50 when I was only earning £400 per month. Looking back, I’m happy I did because it got me into the habit of “What you don’t see, you won’t miss” as my dad is fond of saying. Now that you have completed step 2 and paid off your debt, you’re ready to tackle step 3 and build up your full emergency fund with three to six months of expenses. After all the effort of Baby Step 2, it’s easy for your energy to drop before you complete your emergency fund. Try not to let that happen!